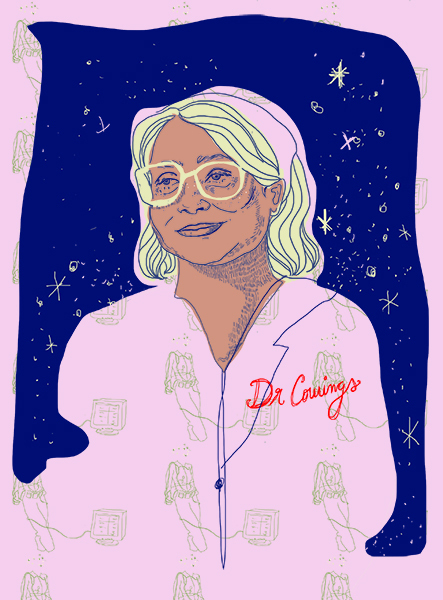 BA (Hons) Illustration and Visual Media students created images of 50 inspirational women for A Galaxy of Her Own – Amazing Stories of Women in Space by Libby Jackson. A Galaxy of Her Own tells 50 stories of inspirational women who have been fundamental to the story of humans in space, from scientists to astronauts to some surprising roles in between. The book is written by Libby Jackson, a leading UK expert in human space flight. It is illustrated by BA (Hons) Illustration and Visual Media students at London College of Communication. Publisher Penguin Random House gave 35 students a brief to create bold, bright and beautiful images. Each artist brought their own style to the brief. They created a diverse set of images that capture the spirit of their subject and appeal to all ages. Copies of the book can be bought via Penguin’s website.